Ageing – Living Conditions and Health; Quality Improvements, Innovations and Leadership; CHILD; and Oral Health. The School of Health Sciences has been involved in a Linnaeus-Palme International Exchange Programmewith the Lokmanya Medical Foundation in Pune, India. More information about the Linnaeus Palme programme, administered by the International Programme Office for Education and Training but financed by Sida. 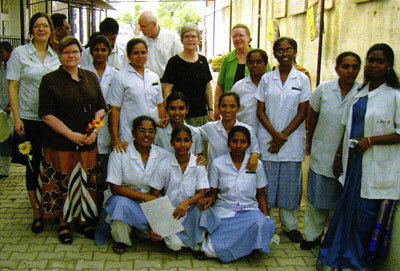 The collaboration project started in 2008, but the collaboration was established already in late 2007, when a frame agreement for 10 years was signed between Jönköping University and Lokmanya Foundation. The main point was accreditation of nursing training programmes, but in the following years the collaboration also included specialist training in anaesthesia for nurses, and a Masters programme in leadership. The project received continued funding for the period 2012-13 with SEK 262 624. More information about the South Asia related Linnaeus Palme projects for 2012-13. From humble beginnings in 1974, Lokmanya Hospitals with state-of-the-art medical diagnostics centre located in the Pimpri-Chinchwad area underwent a complete transformation to evolve with the times of today. Because of the tie-up with an international hospital chain in Sweden, it facilitated in the training of its nursing staff to provide round the clock medical care. The hospital later underwent a metamorphosis into International Standard Cardiac Care Centre (Lokmanya Heart Institute) with advanced cardiac care facilities and medical technologies. In addition, a first comprehensive spine centre for Orthopaedics, Traumatology and Spine Care was started in 1996 in technical collaboration with the Neuro-Orthopaedic Department, Jönkoping, Sweden. Lokmanya Hospitals has however been liquidated, and the collaboration with Jönköping University has therefore been cancelled.